The City Council of the City of Rijeka has nominated Edvin Liverić Bassani as head of the Croatian Cultural Centre Sušak, a new cultural institution of the City. The new head pointed out that ha had applied for the competition for the head of the CCC in good faith so that he could offer to his city all knowledge gained and experience in the field of art and also in the field of drawing financial resources from EU funds. The City Council has adopted the Report on the budget realisation of the City of Rijeka. In the first six months of the current year, income budget amounted to HRK 399.8 million or 37.6% of the annual projection, while expenses reached HRK 376 million or 35.5% of the annual projection. This means that from January to June a surplus of income was realised in the amount of HRK 23.8 million, out of which HRK 18.6 million relates to an income surplus of the city budget, while HRK 5.1 million to an income surplus of budget beneficiaries. The surplus is a result of resources inflowing from EU funds. 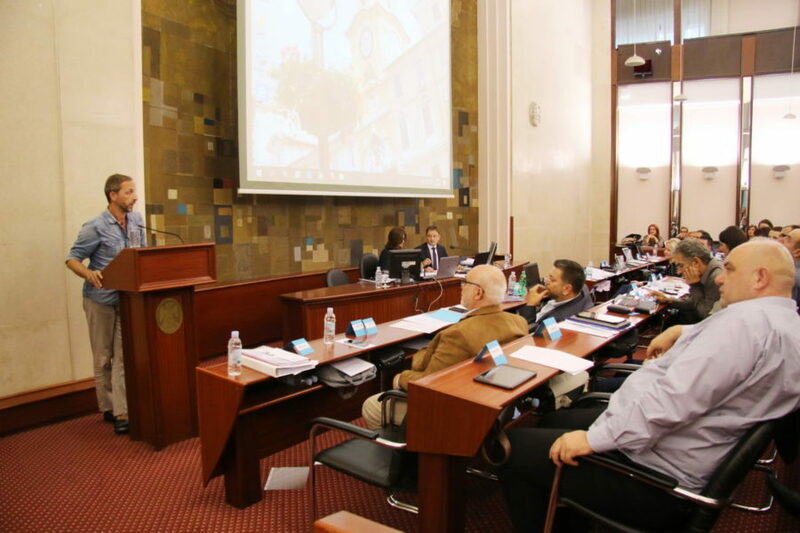 Furthermore, the councillors were informed about the Plan of Measures aimed at covering the deficit and reducing liabilities of the City of Rijeka, adopted by the mayor at the beginning of September. The City Council has adopted a conclusion about calling for elections for members of the Youth Council, an advisory body of the City of Rijeka. Furthermore, the Council has adopted a new co-financing method relating to the activity of preschool education in private kindergartens starting from 1 January 2019. From 1 January 2019, parents residing in the territory of the city of Rijeka who enrol their children in a kindergarten founded by other founders in the territory of the city of Rijeka, will pay the price equalling the price of the regular kindergarten or nursery programme, regardless of the kindergarten that the child attends. The meeting was interrupted due to a lack of quorum, and its continuation should have taken place on Saturday, however the meeting was brought to an end on Saturday by withdrawing the remaining items on the agenda because of a lack of quorum.